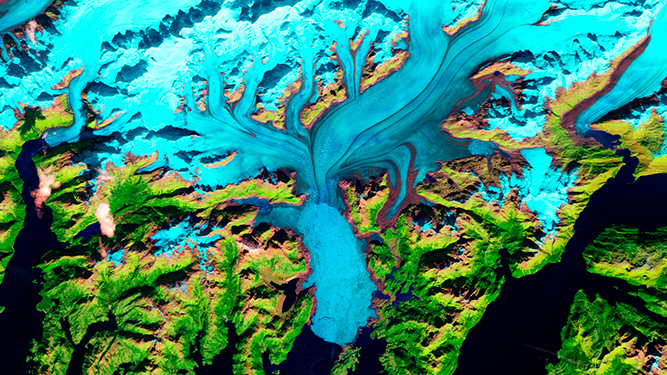 The Columbia Glacier is a tidewater glacier that flows down the slopes of the Chugach Mountains and into Prince William Sound in southeastern Alaska. 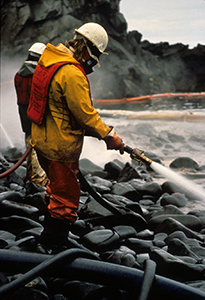 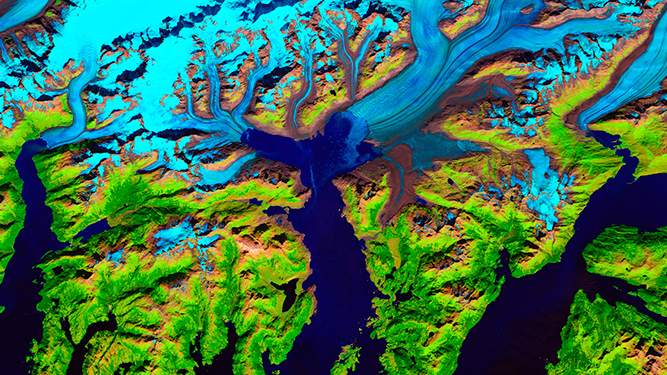 Climate change gave the initial push to the Columbia’s retreat over three decades ago, but once destabilized its decline was accelerated due to glacial mechanics. 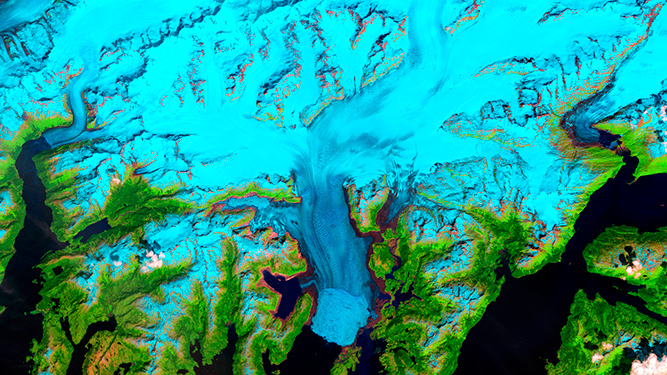 Today it is one of the most rapidly changing glaciers in the world. 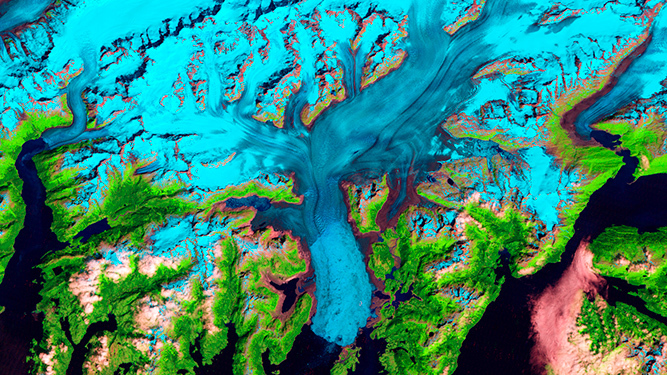 Glaciers may seem static, but they are actually more like slowly moving rivers of ice. 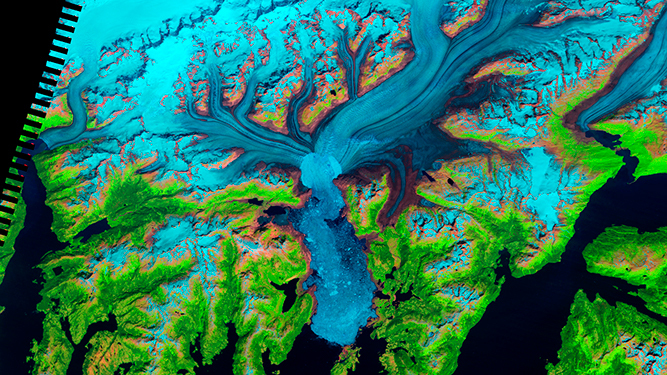 Glaciers carry rock, sediment, and other debris from Earth’s surface and deposit it over time in accumulations called moraines. 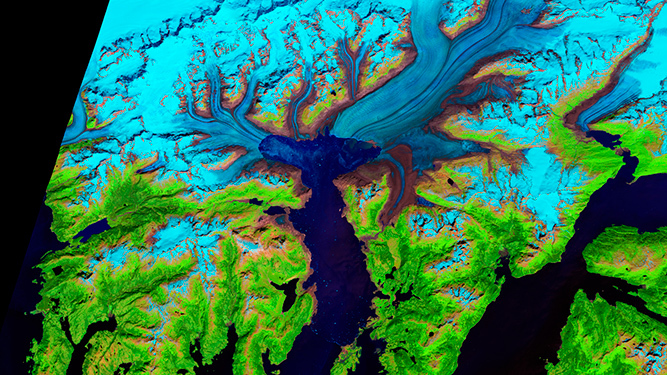 As the Columbia is a tidewater glacier — meaning it flows into the sea — the moraine at its terminus created an underwater ridge, or shoal. 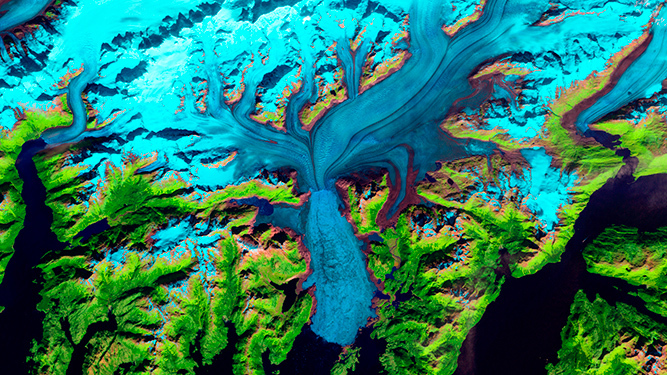 The Columbia’s moraine served as a supportive barrier that helped stabilize the glacier and insulate it from seawater. 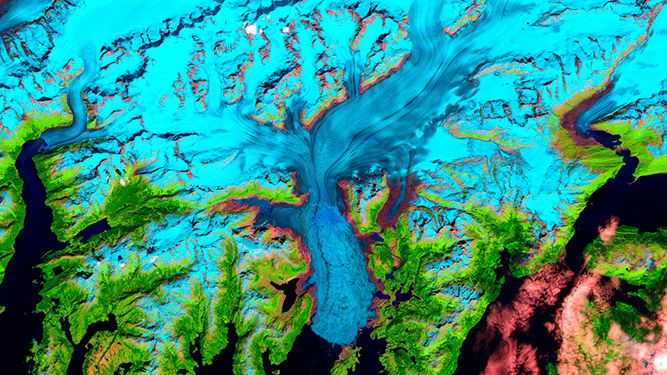 Glaciologist Tad Pfeffer from the University of Colorado Boulder discusses the dynamics of the Columbia Glacier’s retreat, accompanied by dramatic time-lapse images. However, like glaciers around the world, the Columbia began to recede during the latter half of the 20th Century due to the impacts of climate change. Around 1980 the terminus of the Columbia broke free from its moraine. No longer supported at its leading edge, the glacier began to flow into the ocean at a faster pace, cleaving large icebergs into the Sound. 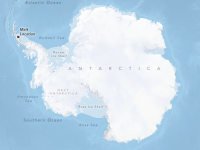 By the late 2000s the Columbia’s terminus had retreated so far that it was afloat, further destabilizing the glacial mass and causing even larger icebergs to break from its surface. 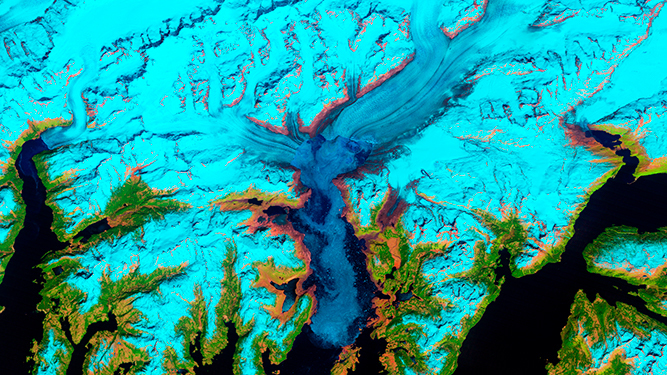 These false-color images, captured by NASA Landsat satellites, illustrate the Columbia Glacier's rapid retreat since 1986. 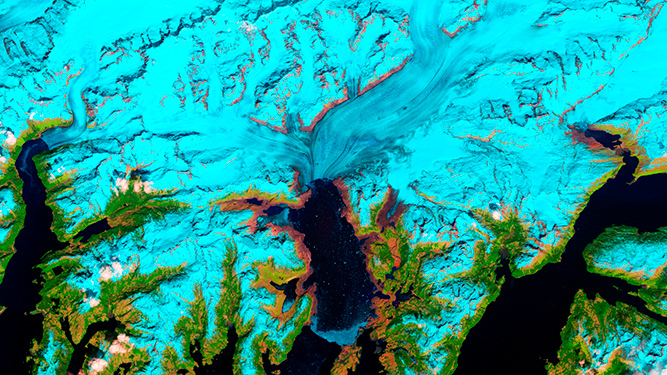 Snow and ice, shown as bright cyan, thin substantially over time as areas of brown bedrock expand. 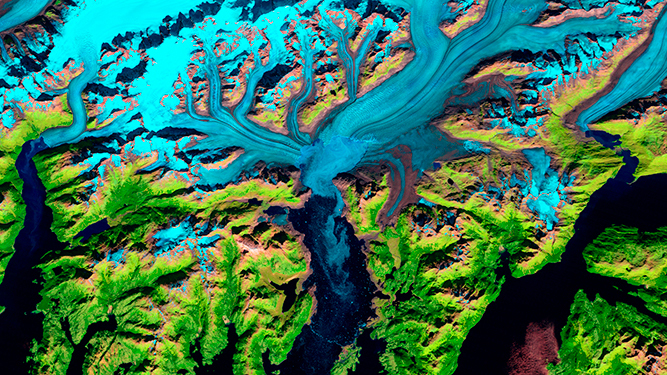 Large chunks of ice can be seen in the image from 2009, when the glacier began to float. 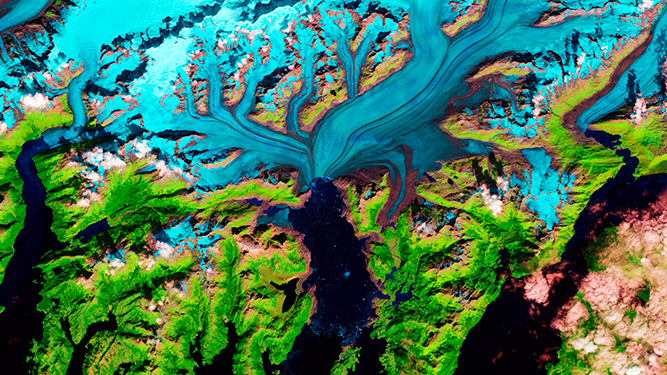 By 2013 the Columbia's terminus has receded so far that its two main branches no longer meet at the sea. Since the 1980s the Columbia’s terminus has retreated more than 12 miles (20 kilometers) — its lowest point in the last 900 years. The glacier has lost about half its thickness in that time and its two main branches no longer meet at the sea. 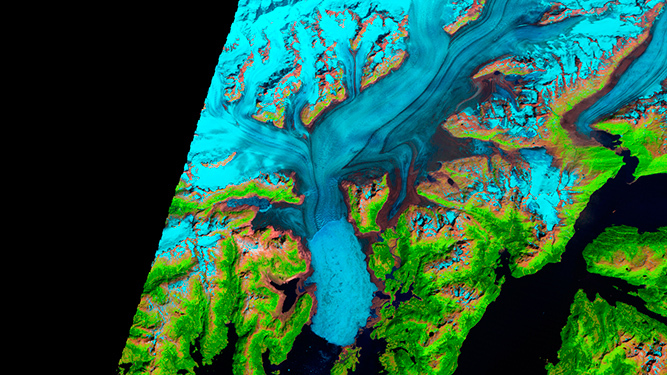 According to a recent study, Alaska’s glaciers lost about 75 billion tons of ice a year from 1994 through 2013, representing a third of all ice sheet lost from 2005-2010. 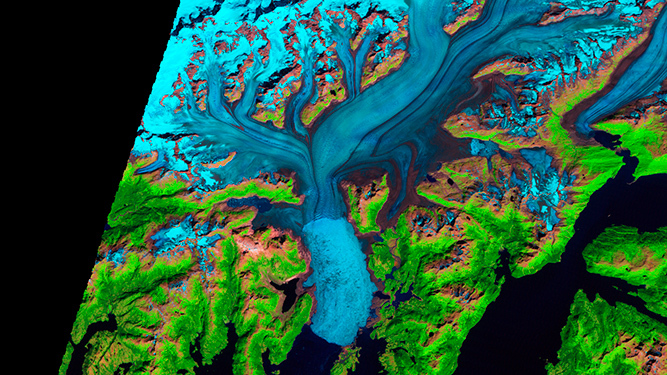 Alaska’s mountain glaciers are also a significant contributor to global sea level rise. 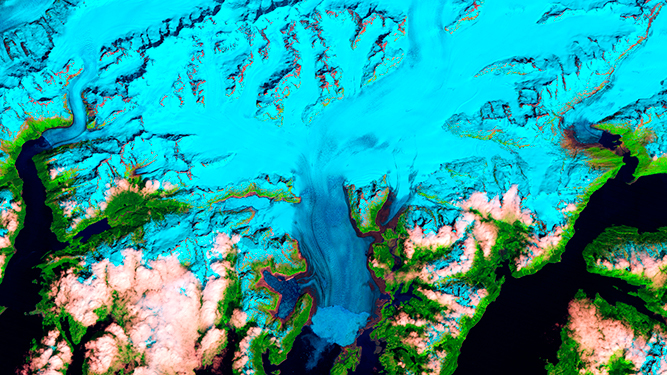 This has led some scientists to propose novel geoengineering solutions such as building underwater walls to slow glacier melt rates and stem sea-level rise. 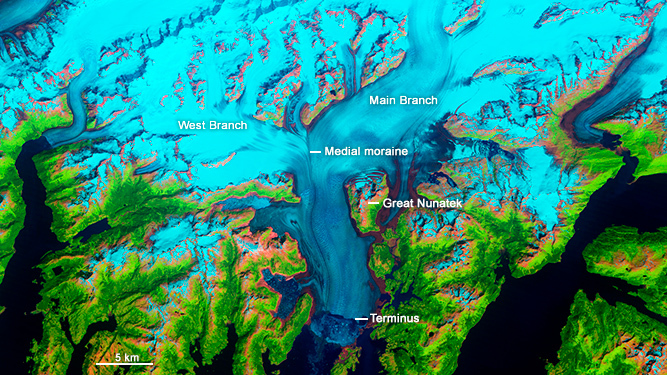 Researchers believe the Columbia Glacier will stabilize around 2020 once its terminus retreats into shallow water and slows the rate of iceberg production. At that point the glacier will have lost approximately 15 miles in length from when it was first documented in 1794.